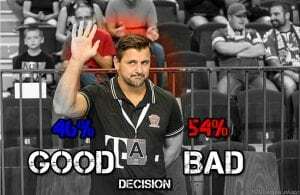 Home / Fans Corner / POLL – VRANJES DEPARTURE: Good or bad decision for Veszprem? Ljubomir Vranjes’ era in Veszprem is over. Club’s management decided to make a change on the bench at the beginning of the season. History repeating in the most successful Hungarian team ever. 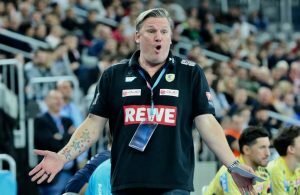 Just three years ago, even earlier, in his third season, on September 20, 2015, Telekom Veszprem sacked Spanish coach Antonio Carlos Ortega. Whether Ljubomir Vranjes needed more time in his second season to put the team in the right direction or you think that shock therapy is better option? What do you think about Ljubomir Vranjes' departure? Veszprem part ways with Antonio Carlos Ortega!